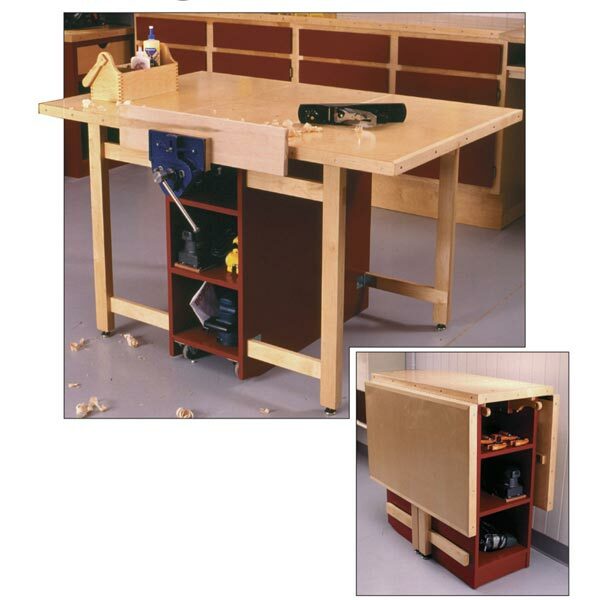 Two cabinets and a sturdy top make this design a cinch to build. 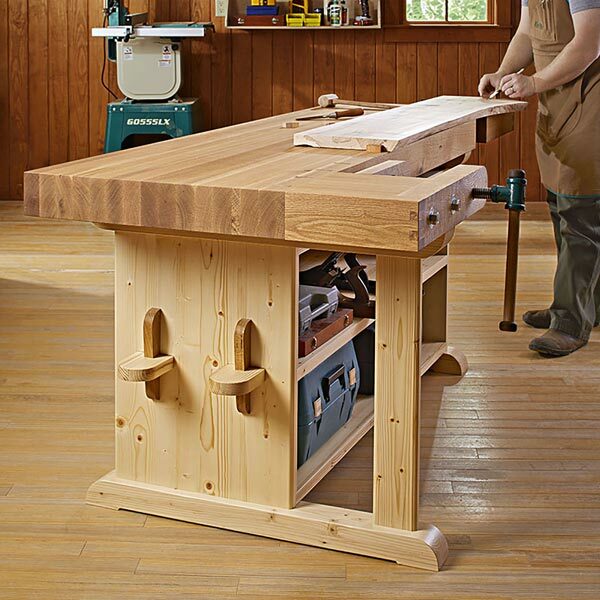 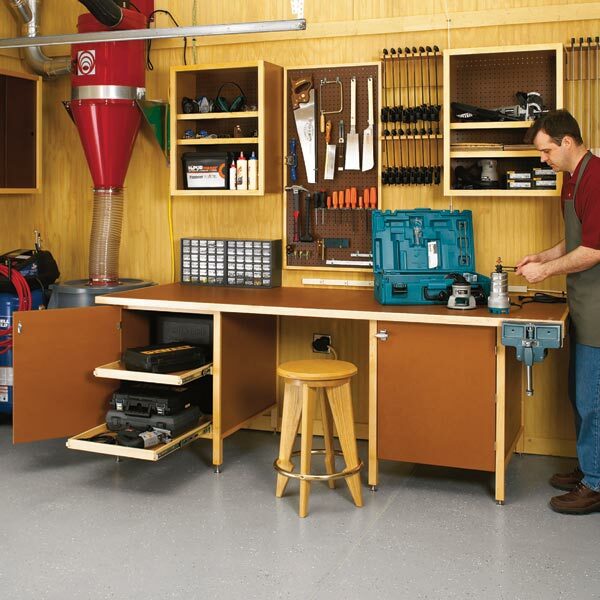 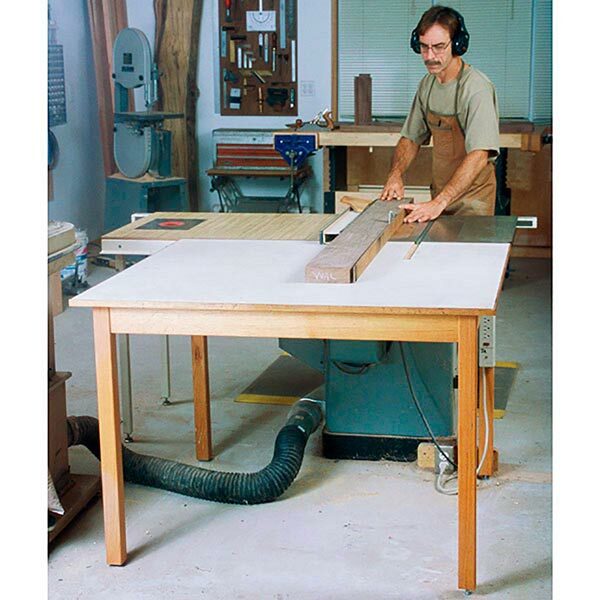 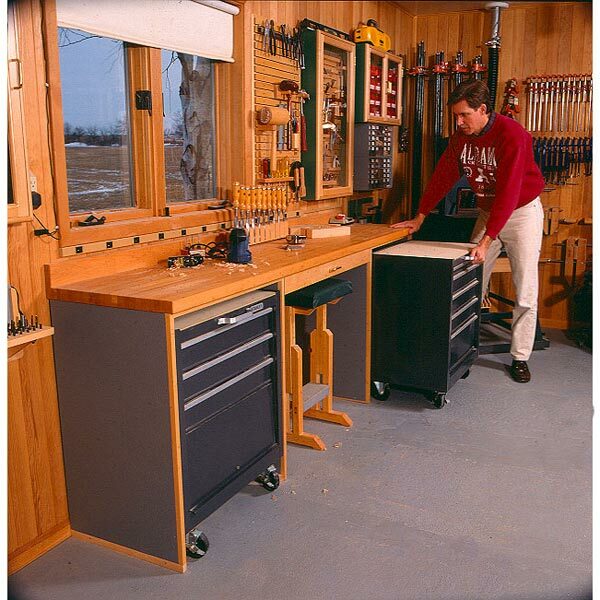 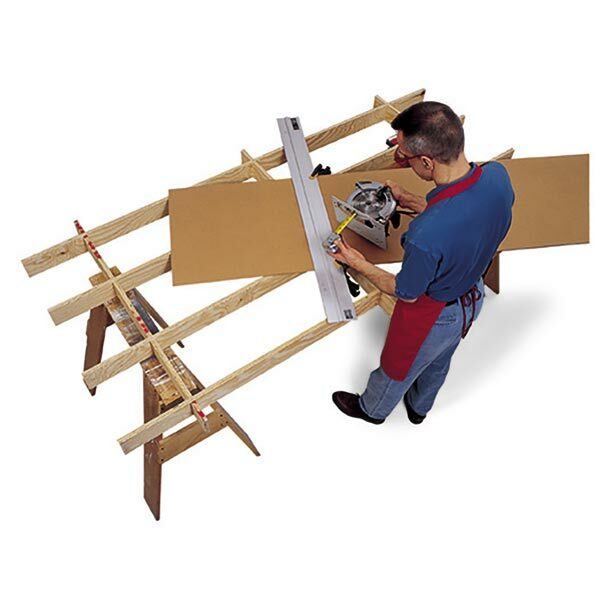 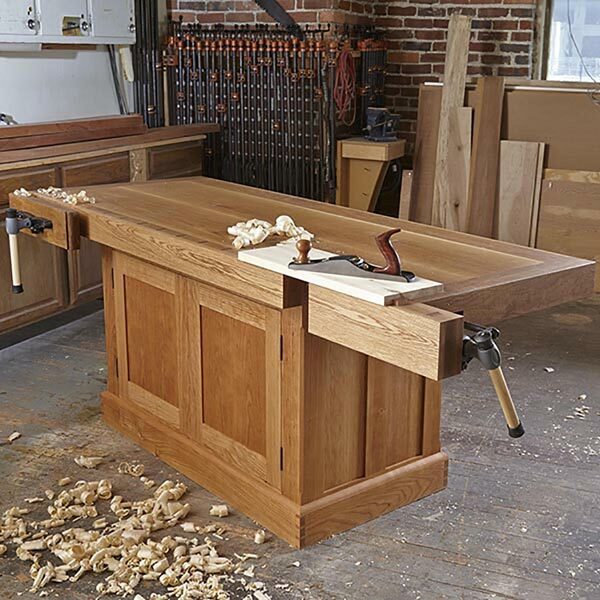 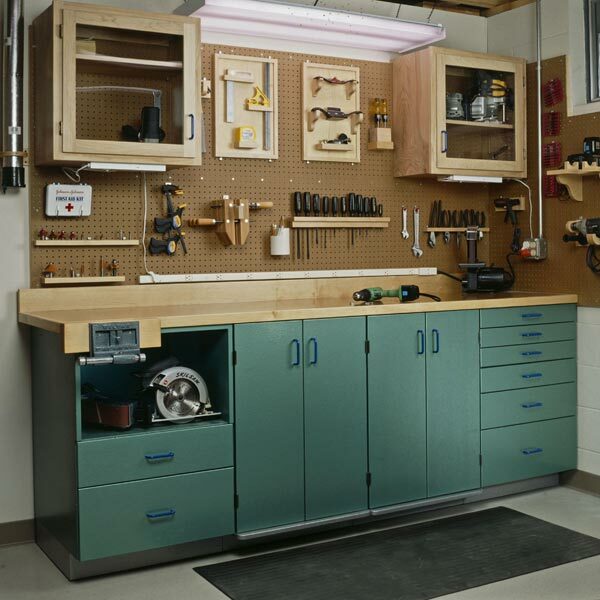 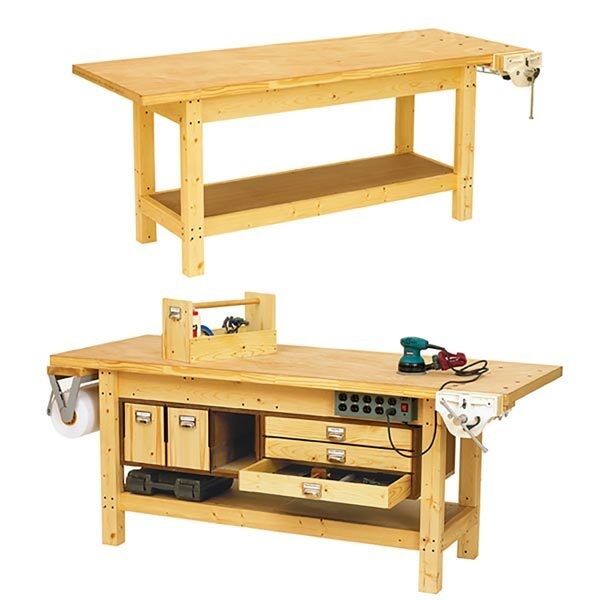 This no-nonsense workbench incorporates the essentials: simple base cabinets with deep enclosed drawer and shelf storage and a flat, stable 3x8' top with plenty of room for a beefy woodworking vise. Includes the Easy-Mover Mobile Base plan.